The human brain is an insanely complex organic computer, and though it still has plenty of secrets, we're now a little bit closer to figuring it all out. Building on a decade of research, an international team of neuroscientists have just put the final touches on the most sophisticated 3D map of the human brain that the world has ever seen. The digital map, called BigBrain, was made from carving up a real one. 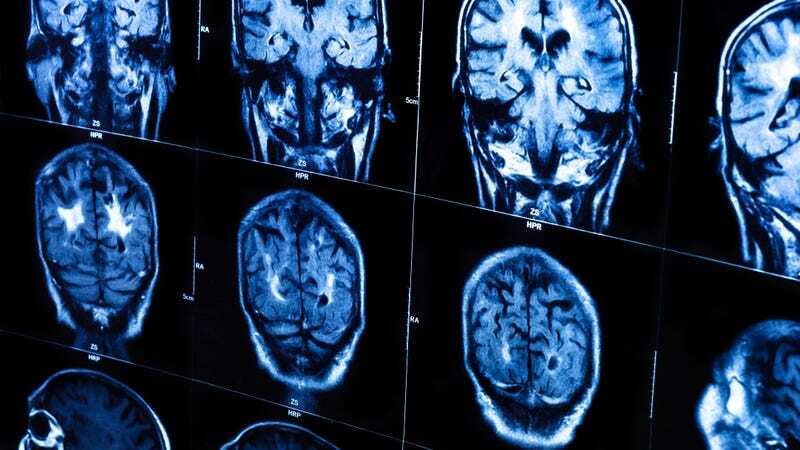 The team of researchers, led by Katrin Amunts of the Jülich Research Center in Germany, took the brain of a (dead) 65-year-old woman, and painstakingly sliced it into 7,400 cross-sections, each thinner than the width of a single human hair. From there, scientists used microsopes to scan the slices for a total of 1,000 hours, generating about a terabyte of data. Then, supercomputers spent years crunching it all into a cohesive 3D model. The result is a super high-res model with a resolution of 20 micrometres, roughly 50 times more detailed than your average image that comes from normal scans of still-intact brains. That's close enough to see neurons in microscopic detail. And this is only the beginning. The BigBrain map is part of the larger Human Brain Project, a $1.3 billion dollar initiative that's shooting for a fully functional, supercomputer brain simulation as its final goal. That's still a long way off, but this insanely detailed map of neurons is bound to help.